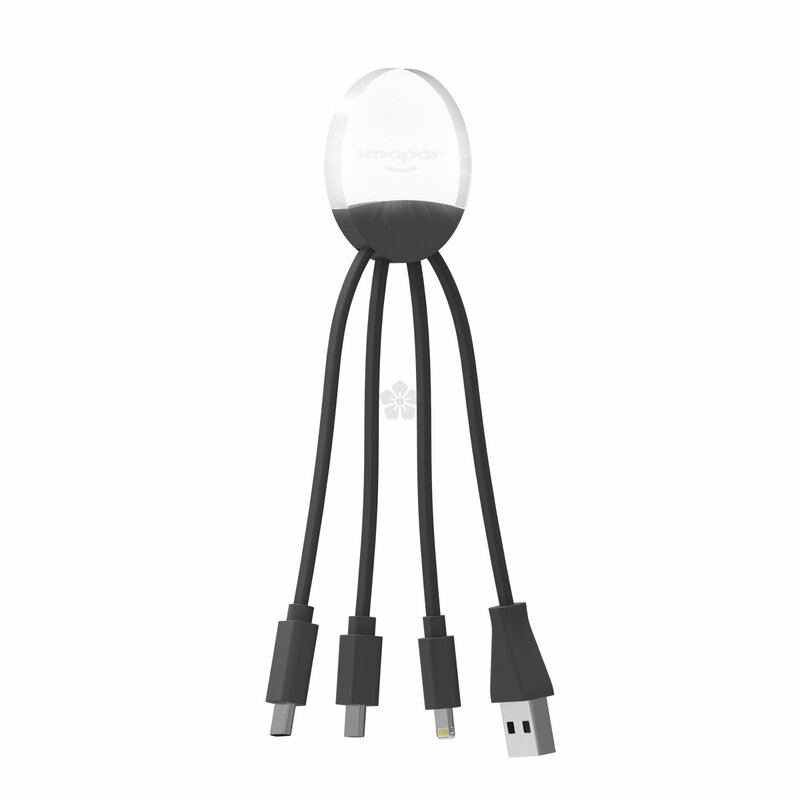 Get a glowing review from everyone who uses this quirky little charger! Our custom printed Xoopar Ilo Multi Cable comes with your logo LED engraved to light up your branding every time it is in use! Designed with a clear plastic top part to engrave and light up your design with a solid coloured plastic bottom with 4 connectors. 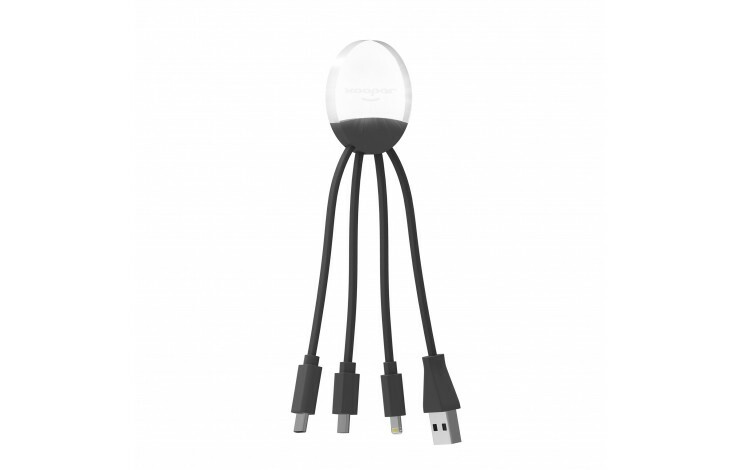 This charger houses a Type-C charger, Micro USB, Lightning and USB adapters. Comes individually bagged with a Xoopar backing card, as shown in the images. Quirky, bright and great for charging any modern gadgets! Individually bagged and Xoopar backing card. Type-C, Micro USB, Lightning & USB chargers.